MOORESVILLE, NC (May 8, 2015) – JGL Racing officials announced today that after last weekends event at Talladega Superspeedway they have parted ways with driver Eric McClure and Team McClure. McClure had piloted the team’s No. 24 Toyota for the first nine races of the 2015 NASCAR XFINITY Series season. JGL Racing, Tri-Star and Team McClure have worked out an agreement for Eric to continue using the No. 24 number managed by Tri-Star Motorsports. 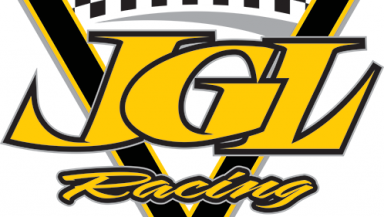 JGL Racing will field the No. 26 Toyota in place of the No. 24 for the remainder of the 2015 NASCAR XFINITY Series season. JGL Racing has fielded two full time entries for the first nine races of the season and will continue to do that for the remainder of the 2015 season. The organization just captured its best ever finish this past weekend at Talladega when NASCAR veteran JJ Yeley steered his No. 28 Toyota to an impressive fourth place finish. While JGL Racing announced that it will rebrand the No. 24 Toyota to the No. 26 Toyota, the team will also continue to field a third entry (No. 93) at select events throughout the remainder of the 2015 season as the growth process continues. The NASCAR XFINITY Series takes a week off before heading to Iowa Speedway for the running of the Iowa 250 on Sunday May 17th.